Recommended Action: Ratify the listing of cash disbursements for the period April 1, 2019 through April 15, 2019. 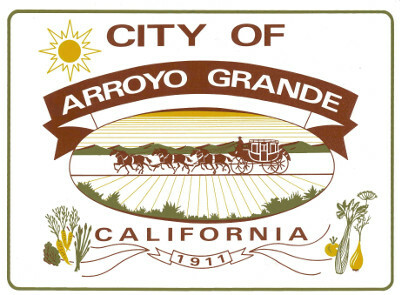 Recommended Action: Receive and file the report listing of investment deposits of the City of Arroyo Grande, as of March 31, 2019, as required by Government Code Section 53646(b). Recommended Action: Approve the minutes of the Regular City Council Meeting of April 9, 2019, as submitted. Recommended Action: Adopt an Ordinance amending Chapter 8.08 of the Arroyo Grande Municipal Code relating to the discharge of safe and sane fireworks. Recommended Action: Approve the purchase of new replacement handheld radios for the Police Department funded through the C.O.P.S. Grant Program. Recommended Action: 1) Approve the construction plans & specifications for the 2019 Concrete Repairs Project, PW 2019-02; 2) Authorize the City Clerk to advertise for construction bids; 3) Find that the project is categorically exempt from the California Environmental Quality Act (CEQA) pursuant to Guidelines Section 15301(c); and 4) Direct the City Clerk to file a Notice of Exemption. Recommended Action: 1) Award a contract for the Huasna Road/Oro Drive CMP and Woodland Drive Sewer Lining Project to Sancon Technologies, Inc. in the amount of $242,061; and 2) Authorize the City Manager to approve change orders for 10% of the contract amount, $24,206, for unanticipated costs during the construction phase of the project. Recommended Action: 1) Adopt a Resolution adopting a list of projects to be funded by SB1 in Fiscal Year 2019/20; and 2) Authorize the Director of Administrative Services to submit the list of projects to the California Transportation Commission (CTC). Recommended Action: Consent to three consecutive absences by Architectural Review Committee Member Lori Hall. Recommended Action: Adopt a Resolution approving Temporary Use Permit 19-003 to allow the sale of beer and wine at the 2019 Heritage Square Park Summer Concert Series and approving the request for an application fee waiver. Recommended Action: Adopt a Resolution approving the request by Billy Kilmer to drill and install two (2) new wells on two (2) existing residential parcels for domestic supply at 747 Printz Road. Recommended Action: 1) Receive and approve the annual report of the Arroyo Grande Tourism Business Improvement District (AGTBID) Advisory Board; 2) Adopt a Resolution of Intention to levy and collect assessments within the AGTBID area for Fiscal Year 2019-20 at the same rate as in Fiscal Year 2018-19; and 3) Set the date for the public hearing for May 28, 2019. Recommended Action: Receive and file the monthly Water Supply and Demand Report and two-year Water Supply and Demand projections. Recommended Action: Appoint one Council Member and one alternate to serve as a representative for regional water initiatives, including Central Coast Blue.